As US-based human rights, grassroots organizing, solidarity, and other civil society organizations, we write to express our deep concern about seeming irregularities and reports of possible fraud in the November 26 presidential election in Honduras. Since election day we have seen images of US mcagjunitions that have been used against Honduran citizens asserting their right to democracy. Colleagues and friends from throughout Honduras are sending videos of massive militarization. We write to urge you, in the strongest possible terms, to support credible, independent investigations into any and all claims of state-involvement in electoral fraud and violence during and since the November 26th elections. 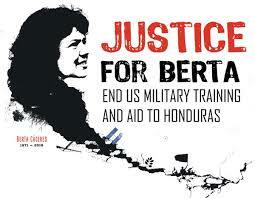 We reinforce our demand that you immediately suspend all US police and military aid to Honduras. After the initial release of official results in the Honduran presidential election showed the opposition candidate leading by approximately 5 percentage points based on more than half the returns, the Supreme Electoral Tribunal did not resume releasing presidential election results for more than a day. For comparison, in the 2013 presidential election, the winner was declared with a similar proportion of the returns in. Ever since the updates resumed, the incumbent, President Hernández, has gained ground at a surprising rate and, as of Wednesday afternoon, has passed the opposition candidate, according to the tribunal’s numbers. The long delay, and the dramatic shift in the tendency of the vote count reported before and after that delay, raise serious doubts about the integrity of this election. The US government has been an ongoing supporter and funder of the Honduran government, including clear US support for the 2009 coup which led to the right-wing National Party taking power, with Hernández as President of the National Congress from 2010-2013. Furthermore, the US has pushed forward the disastrous, failed Plan Colombia model for Honduras, Guatemala, and El Salvador in the form of the “Alliance for Prosperity in the Northern Triangle” aid package. This 750 million-dollar project makes conditions in Central America more “favorable” for outside investors, albeit through militarization and political reforms dressed up as anti-drug policies. Insisting on respect for the rights of Indigenous Peoples (including Garifuna communities) and peasant communities organizing to defend and protect ancestral territories, land, water, and Mother Earth in the face of militarization and repression by the current Honduran regime. Delegations from La Voz de los de Abajo, Code Pink, and Witness for Peace witnessed and heard testimony of the ongoing intimidation through use of security forces, including US-funded security forces, as well as incidents of fraud and violence at polling places. These continuing abuses underscore the need for the passage of HR 1299, the Berta Cáceres Human Rights in Honduras Act – and companion legislation in the Senate – which would suspend US security aid to Honduras until human rights defenders are protected and serious human rights abuses are brought to justice. We urge you to exert all possible pressure to promote honesty and transparency for Honduras’ election and to advance the cause of HR 1299 and companion legislation in the Senate to suspend the “security” aid that is only making Honduras less secure, including at this critical moment for the country.